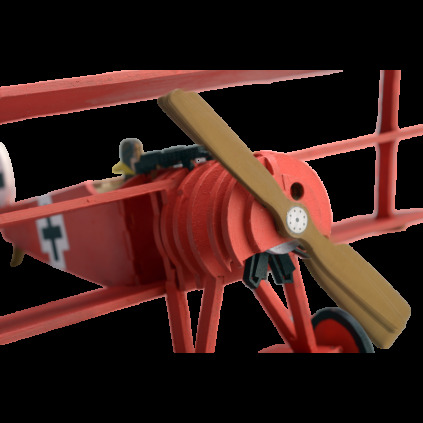 The Red Baron, also known as Avion Fokker DR.I, was a "Dreidecker" which means "triplane" in German fighting in World War I. The fighter aircraft was built by Fokker-Flugzeugwerkeand saw widespread service in the spring of 1918. 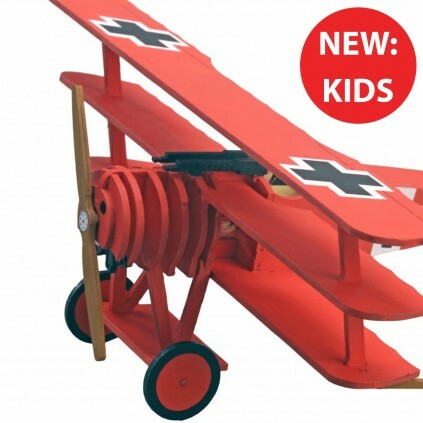 It became famous as the plane in which Manfred von Richthofen, the "Red Baron", achieved 19 victories over enemies, and in which he was later killed in April 1918. 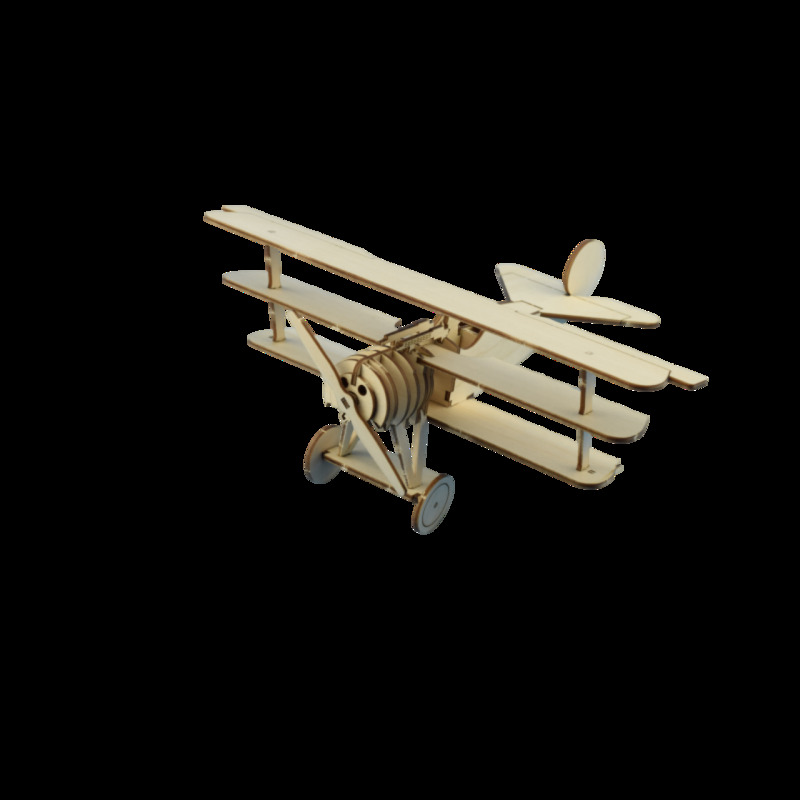 Build and decorate your own replica of this famous fighter plane icon. 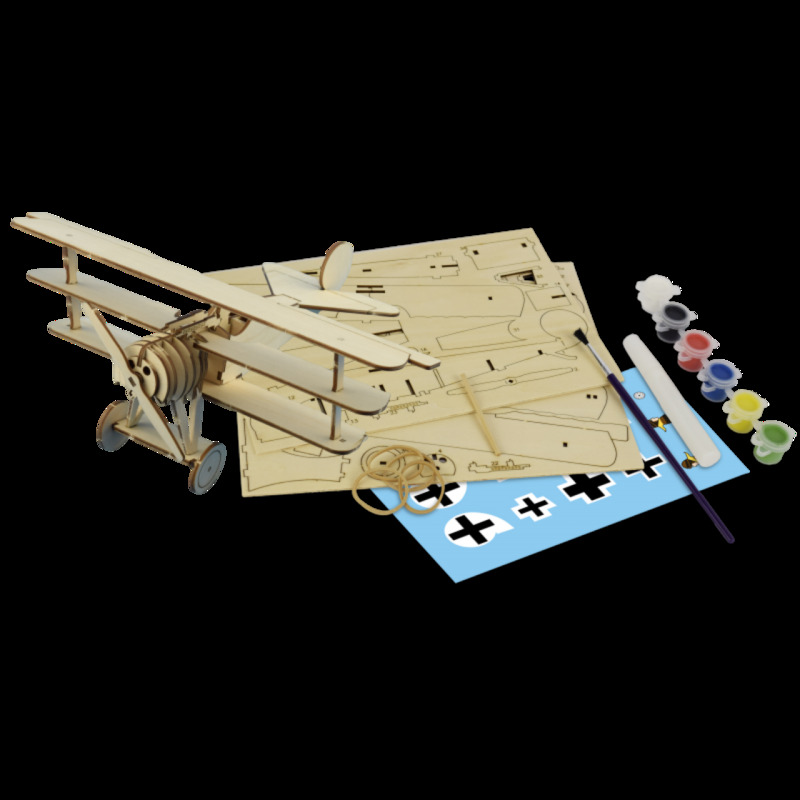 Especially constructed for children, the Red Baron is assembled in easy stages, and additional skills will be acquired throughout the build making it a perfect entry level build for children from the age of eight.